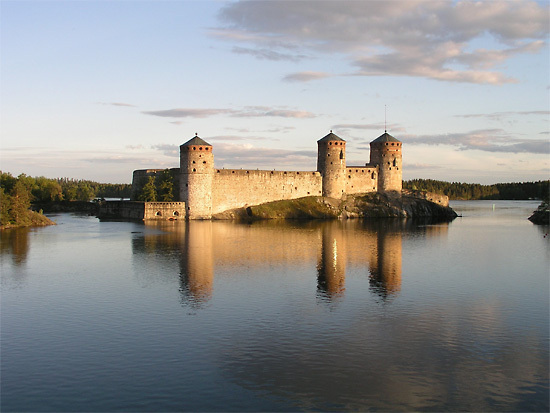 Olavinlinna, site of the Savonlinna Opera Festival, is Finland’s most famous medieval castle, but others are hidden away across the country. In Finnish history, the prehistoric era is generally considered to end and the Middle Ages to begin in the 1150s, when, according to a Swedish chronicle, King Erik of Sweden and English-born Bishop Henry undertook a crusade to the southwestern parts of Finland. The chronicle’s claim that the Bishop ‘baptized’ the Finns has later been modified. Archaeological finds have shown that Christianity had reached the Finns as early as the eleventh century, and the main purpose of the crusade was thus to establish Swedish dominion in Finland and organize a bishopric there. The first crusade was also part of much wider political and ecclesiastical perspective. Sweden was Roman-Catholic at the time. To the east of Finland lay the Novgorod republic, which was Greek-Orthodox. 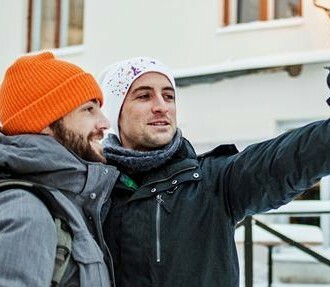 Finland was a country rich in natural resources in the middle and came to be seen as a desirable territory by both sides from about the twelfth century onwards. The Swedes arranged two more crusades, one in 1239, to Häme in central Finland, and another in 1293, to Karelia (Viborg) in the East. Meanwhile, the people of Novgorod made repeated raids into Finnish territory, burning the city of Turku in southwestern Finland as late as 1318. These conflicts did not end until 1323, with the peace treaty of Pähkinäsaari, which finally established that Finland was part of the kingdom of Sweden. The Swedes had to take up arms to defend the border numerous times during the Middle Ages and the 16th century, especially after the Muscovites took over Novgorod in the 1470s. Thus the Swedes consolidated their power east of the Åland sea through three crusades. After each crusade, a castle was built to serve both defensive and administrative purposes. Turku Castle was built at the mouth of the Aura River in southwest Finland, by the city of Turku, the foremost town in Finland up to the beginning of the 19th century. 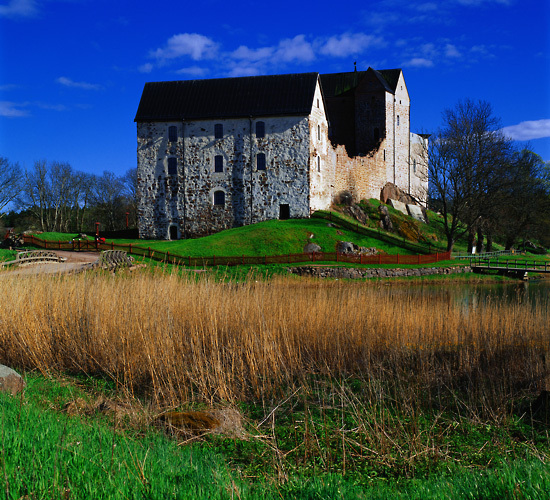 Häme Castle in Häme was built after the second crusade. The third crusade led to the building of Viborg Castle, on an island in the Gulf of Finland off the coast of Karelia. These three castles became the centres of three provinces discernible as early as the Iron Age, called Finland, Häme and Karelia. The name ‘Finland’ only meant the settlements in the southwestern parts of the country as late as the early Middle Ages. Turku Castle was probably founded in 1280, i.e. at the very time when an old trading site on the Aura River developed into a town, the oldest, and for a long time the biggest, in Finland. Its name was Åbo in Swedish and Turku in Finnish; the latter derives from a Slavonic word meaning ‘market square’. The castle was built on an island in the estuary in the form of a rectangular fortified camp with four gates. The pattern was an ancient one, and can be traced back ultimately to the citadels built by the Romans in antiquity. In Turku, the idea was apparently that the camp should be possible to both fill and evacuate quickly, for instance prior to the third crusade in 1293. The citadel had probably outlived its usefulness by the beginning of the 14th century, when three gates were walled shut and it was converted into a closed keep. Extensions were successively built using granite from nearby, and by the beginning of the 15th century, it had both a keep and a bailey. The keep, which had over forty rooms, was subject to a rigid hierarchy and only select guests were allowed entry to the ‘Royal Suite’ at the furthest end of the north wing; this consisted of a vaulted hall and an inner chamber. The king of the realm naturally resided in Stockholm most of the time, but the suite in Turku Castle still deserved its name, as no other castle in Finland was so often visited by the monarch. When the first king of the Vasa dynasty resided in Finland for eleven months in 1555-1556, the entire kingdom of Sweden was ruled from his hall in Turku Castle. The importance of the castle is also evident in the fact that it was subject to nine sieges before the end of the 16th century, mainly due to internal strife within the kingdom. 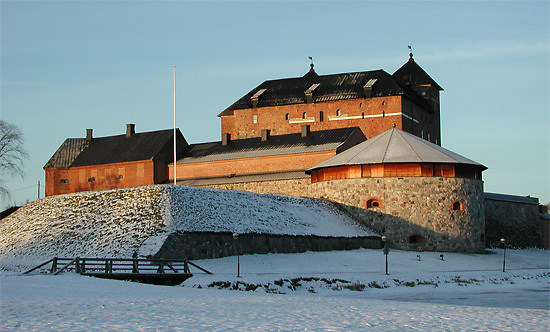 Häme Castle (or Tavastehus in Swedish), the other great castle of the realm, was built in the very middle of the Häme wilderness and in the 17th century became surrounded by a town of the same name, Hämeenlinna. Work on building the castle seems to have started in the 1290s in connection with the organization of the three major ‘castle counties’ in Finland under bailiffs subject to the king in Stockholm. 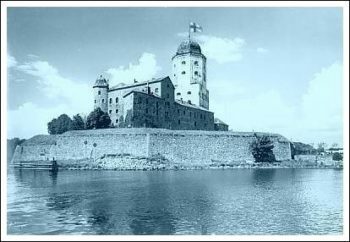 The fight against Novgorod was still going on when work started on Häme Castle. At the time, the castle thus formed part of a defense line against the east, although a short time later, after the peace treaty of 1323, it came to be rather far removed from the actual eastern border. It then became a center for the Swedish administration in the central parts of Finland. Apart from the ground floor, Häme Castle is built entirely of brick, and therefore stands apart from the other castles in Finland, which were built in natural stone until the end of the 15th century. With its square ground plan and almost cubic mass, the castle is very similar to the castles built by the German orders in the Baltic countries and Eastern Prussia during the Middle Ages. The German influence is unmistakable and is likely to extend even to the choice of material, i.e. brick, which was manufactured on the spot by German craftsmen. The interior hierarchy of the rooms was organized so that all the finest rooms were on the first floor. The square castle ward had an external gallery at first-floor level, giving access to all the rooms through ornate brick portals. The gallery has been reconstructed and the portals restored. The third major castle, Viborg, was built as the easternmost outpost of the kingdom of Sweden. The third major castle, Viipuri (or Viborg in Swedish), was built as the easternmost outpost of the kingdom of Sweden. It was taken by the Russians in 1710, but was back in Finnish hands in 1812. Since the end of the war in 1944 it has again been on the Russian side of the border. During the Middle Ages it was repeatedly besieged by the Russians, most famously in 1495, under Ivan III of Moscow. The situation of the defenders looked hopeless, but they were saved by the ‘Viborg blast’, a mysterious explosion which scared off the Russians because they saw a St Andrew’s cross in the sky. The three Finnish ‘castle counties’ were ruled from the castles of Turku, Häme and Viborg, respectively until the 1360s. In 1366, Albrecht of Mecklenburg was elected king, and according to the German model he began to divide up the castle counties into smaller provinces. In some cases, these new, smaller provinces were given separate bailiffs’ residences which have since disappeared; this was the case with the Borgbacken castle mound in Porvoo and Korsholm in Ostrobothnia, near the city of Vaasa which was founded later. Only earthworks remain at these sites, but in two places, stone strongholds were built which still exist, although in ruins. One is Raseborg in western Uusimaa (west of Helsinki), the other Kastelholm in the Åland islands. We now know that Raseborg, which is a big, almost square granite ruin with a round corner tower, was probably founded in 1374. It was the seat of a bailiff who was an administrator for the western half of the south coast of Finland. A factor contributing to the decision to build such a big stronghold was that this was a more convenient place than Turku for handling the important trade with Reval (present-day Tallinn), on the other side of the Gulf of Finland. After Visby on Gotland had been taken by the Danish king, Valdemar Atterdag, in 1361, Reval became the major reloading port on the Hanseatic trading route from Lübeck to Novgorod. The bailiffs of the king’s castles in Finland had large volumes of tax paid in goods such as furs, timber, fish and butter, which were destined for the European market. In return, they received goods which had to be imported into Finland, notably salt, but also grain, spices, fabrics and wine. Raseborg was functional until the 1550s, when King Gustavus Vasa found it was completely outdated as a defense against contemporary firearms. 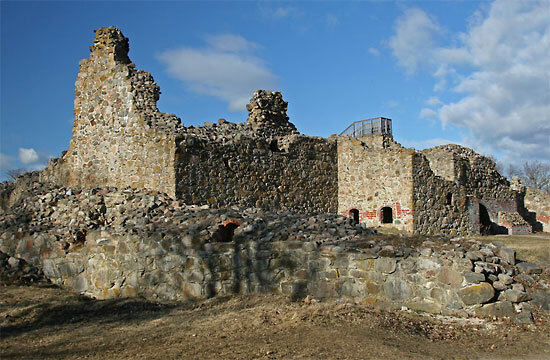 Power and authority was therefore transferred from the castle to the newly founded towns of Tammisaari and Helsinki. Today, Raseborg is a rather spectacular ruin, well worth a visit. Kastelholm in the Åland islands, where work probably began in 1384, also had the double purpose of administration and defense. Åland was separated from the castle county of Turku and the Åland islanders were reluctantly subjected to a bailiff who ruled over them ‘at close quarters’. The defense function was more complicated, because it involved the defense of more than just the Åland islands themselves. A statement from 1525 describes Kastelholm as “a key to Sweden”, evidence of the importance attributed to Kastelholm as a last maritime outpost in the defense of Stockholm. Such a view was entirely justified in an era when the main thoroughfares were the navigation routes across the seas and through the archipelagos. Kastelholm lost its importance in the 17th century, but the castle still stands, partly ruined, but also with some intact interiors. The five castles mentioned so far were all built before the advent of firearms. They were thus designed to withstand arrows, spears and siege engines, which were used to fire large rocks. This is evident in their outward appearance. The battlements on top of the castle walls were crucial; they were designed to ensure that no one could enter that way. The situation changed completely when firearms were introduced; the defenses then had to be concentrated in special, projecting towers fitted with gun loopholes. It also had to be possible to ensure that attackers could not breach the walls with their firepower. The first mention of firearms in Finland relates to Viborg castle, in 1429. The first Finnish castle to be built for use in the era of firearms was Olavinlinna (Olofsborg in Swedish) in the wilderness of northern Karelia. The castle lies on an island in a system of lakes and inland waterways, and building work started in 1475 under the Swedes, mainly as a demarcation of the frontier. Novgorod had been taken by the Muscovites led by Grand Duke Ivan III and after he openly declared that he intended to invade Finland next, the Swedes wanted to demonstrate where the border lay in the uninhabited wilderness according to the peace treaty of 1323. The building process was dramatic, as the Russians felt that the castle was being built on the wrong side of the border and therefore did everything in their power to disrupt the work. The barges which brought sand, stone and lime to the building site were, for instance, attacked on numerous occasions. Research in our own time has proved the Russians right, as the castle was built about five kilometers into what was then Russian territory. The castle, with its round projecting towers, clearly shows that it was built after firearms came into use. At the end of the 15th century, there was no master builder in Finland who was equal to such a task, and the governor, Erik Axelsson Tott, says in a letter dated 1477 that he had “16 good foreign master bricklayers” on the castle island. The building technique used would indicate that they came from Reval (Tallinn), where the town wall was extended in the same style at about the same period. Olavinlinna was not built in vain. Ivan III put his threat into practice and the castle was besieged in both 1495 and 1496, but withstood the siege both times. More sieges followed during King Gustavus Vasa’s Russian campaign in 1555-1557, when the castle had a garrison of about 200 men. All the castles mentioned so far were erected by the Swedish Crown in order both to defend Finland as part of the Kingdom, and to organize administration and taxation through the bailiffs. However, there was one more fairly big castle which played an important part in the history of the Finnish part of the kingdom of Sweden throughout the Middle Ages. This castle, called Kuusisto (or Kustö in Swedish), lay just southeast of Turku, where building work commissioned by the Bishop in Turku had started in 1317. This bishop was one of a total of seven in the kingdom of Sweden and his bishopric was the second largest, stretching all the way from Viborg in the east to Finnish Lapland in the north. Since the bishop was also a member of the council of the realm, he was not just an ecclesiastic but a political figure as well, and this was one reason why he needed a fortress: he also kept a private army. When the Muscovites besieged Viborg in 1495, Bishop Magnus III was able to contribute one hundred armed knights to its defense. Kuusisto today is a ruin, because Gustavus Vasa ordered its destruction in 1528 as part of his battle against the Catholic Church after the Reformation. However, it is still possible to see that the castle comprised a keep and three baileys. There are the remains of gun towers, probably built in the 1480s, at the corners. Cannons were necessary to protect the Bishop in his stronghold. Firearms gradually became increasingly powerful, and by the beginning of the 16th century, medieval castles were already quite outdated for defense purposes. Only the addition of earthworks could remedy this, and these were therefore built at, for instance, Turku and Hämeenlinna. But since the castles were solidly built, mostly of granite, new uses could still be found for them in the 16th century. 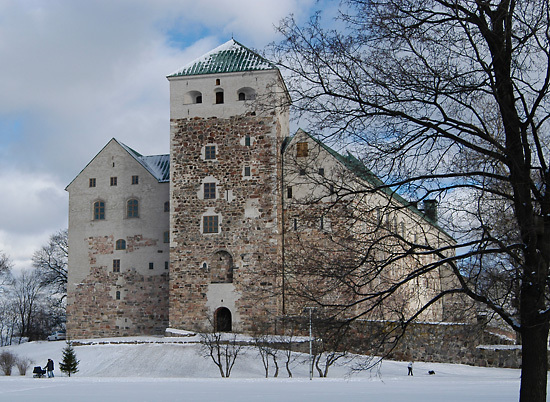 This was particularly the case with Turku Castle, where the upper parts were rebuilt in the 1550s as what is now called the Renaissance Suite for Duke John, the son of King Gustavus Vasa, who later became King John III of Sweden. Gustavus Vasa was the king who introduced a hereditary monarchy into Sweden, and he therefore gave his four sons duchies where they could learn how to rule. As Duke of Finland, John lived at Turku Castle for seven years, during the last year with his wife, Polish princess Katarina Jagellonica, whose court, with its strong Italian influence, contributed to giving the Renaissance its first foothold in Finland. The fixtures of the Renaissance apartments were unfortunately destroyed in a fire in 1612. As of the 17th century, the castles were only considered fit for less exalted tasks; they were turned into barracks, prisons, warehouses, distilleries and grain stores. But in one respect they remained unique; they were so solidly built of natural stone that it was not worth the effort to tear them down. They therefore remained as “phantoms of the past”, as one poet has it. In this, circumstances in Finland differed from those in countries such as Sweden or Denmark. In these countries, softer building materials such as sandstone or limestone had been available and bricks had been cheap. As a consequence, it was almost always possible to demolish outdated structures and replace them with new ones. Therefore, these countries no longer have any ancient granite castles of the type still found in Finland. 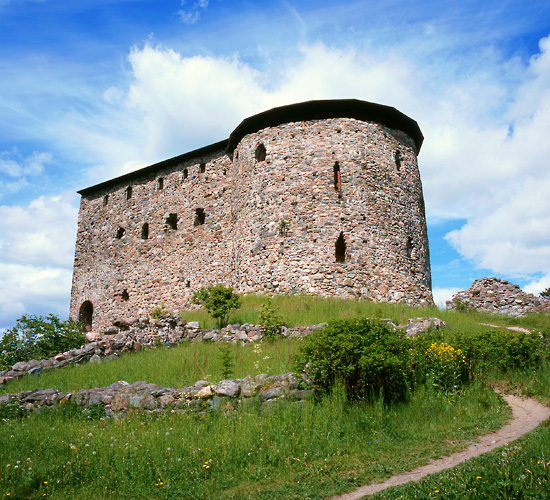 In more recent times, since the Second World War, some of Finland’s medieval castles have again been given a new lease of life. They have been rescued from degradation and restored, and have become the setting for new activities. Turku Castle, which was gradually extended over some three hundred years starting in about 1280 into one of the biggest castles in the Nordic countries, is one of the most popular historical attractions in Finland. Thanks to the fact that very little of the castle was ever demolished, the centuries are still there, as it were, layer upon layer, and a visit therefore represents a journey back through Finland’s entire history. Furthermore, the Renaissance Suite from the 1550s has discreetly been adapted for use as official reception rooms for the City of Turku, providing a suitably dignified setting for receptions held in honor of a number of heads of state and other dignitaries. Häme Castle has been restored on much the same principles, and also includes exhibitions halls used by the Finnish National Museum. Among the restored castles, Olavinlinna in Savonlinna, north of the Saimaa waterways system, has built an international reputation for itself through the city’s opera festival. Every summer since 1969, professional opera of a very high standard has been performed in the bailey for four to five weeks. Although the castle has been restored according to strict contemporary principles for the restoration of historical monuments, it is nevertheless possible to erect a temporary stage and seating for an audience of some 2,000 in the bailey. The repertory has included many great classics such as Mozart’s Magic Flute and Wagner’s Flying Dutchman, and also contemporary Finnish operas, which have had a chance to establish a reputation thanks to the Savonlinna Festival. In conclusion, it could be said that the medieval castles in Finland have always been treated with respect, and that this is one reason for their continued existence today. The situation is interesting, in that their history could also provide support for an opposite interpretation. But although there were times when the common people living around the castles cursed their rulers and bailiffs, the reputation of the castles still dominantly prompts awed fascination and a certain pride in these magnificent structures, which are such tangible proof of crucial episodes in the history of Finland. 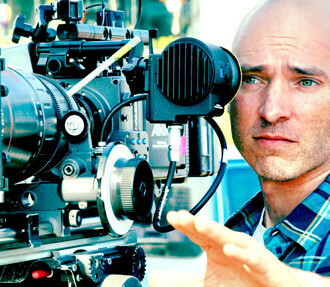 Director Aku Louhimies offers a grimy view of Finland, yet says his film Naked Harbour is more about hope than despair. 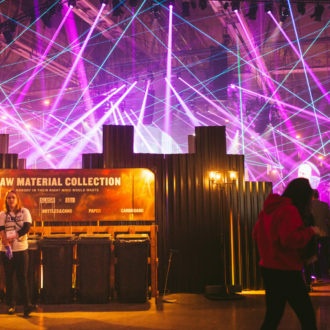 Recycling, educating, compensating for emissions, and making sustainable choices attractive: We see how three of Finland’s largest events put their sustainability values into practice.